According to the weather historians,this stretch of cold weather (just below freezing) is the longest in 30 years. Temperatures dropped in early December and haven't really risen to normal yet. There's been little precipitation, accompanied by clear, sunny skies. On Sunday afternoon 9 of us took a walk to Witty's Lagoon. 6 adults, 3 small children. The forest floor gave off the damp scent of earth and of trampled pine boughs tossed down by the wind. The Littles pretended they were horses along the path - "walk, horses, walk," then "gallop, horses, gallop," followed by "rest, horses, rest." Once on the beach, a distant clump of rocks shone golden as the sun sank lower and lower. 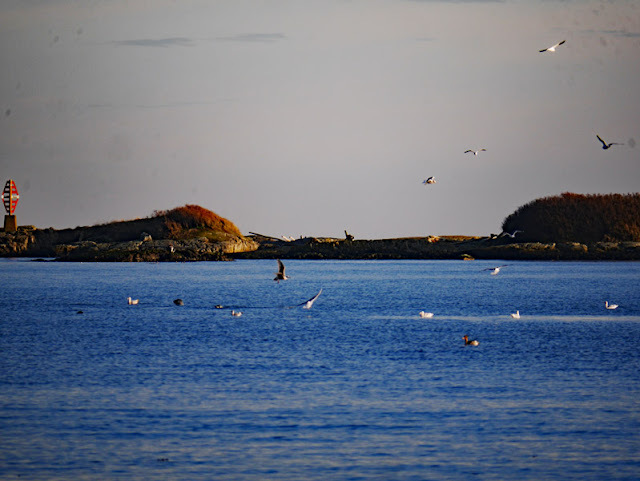 Gulls wheeled and cried, their white breasts and wings glinting silver as they caught the light. 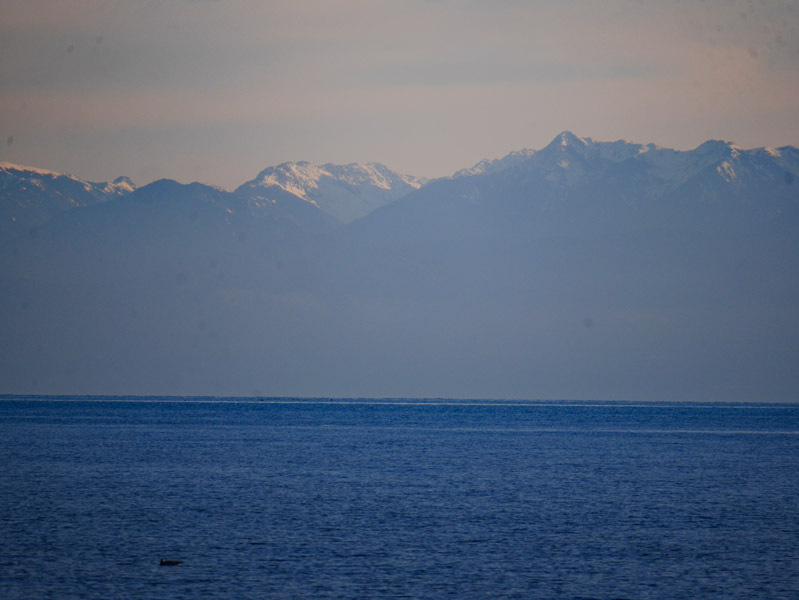 In the distance, across the Strait, the high mountains of the USA's Olympic Peninsula rose out of blue mists. 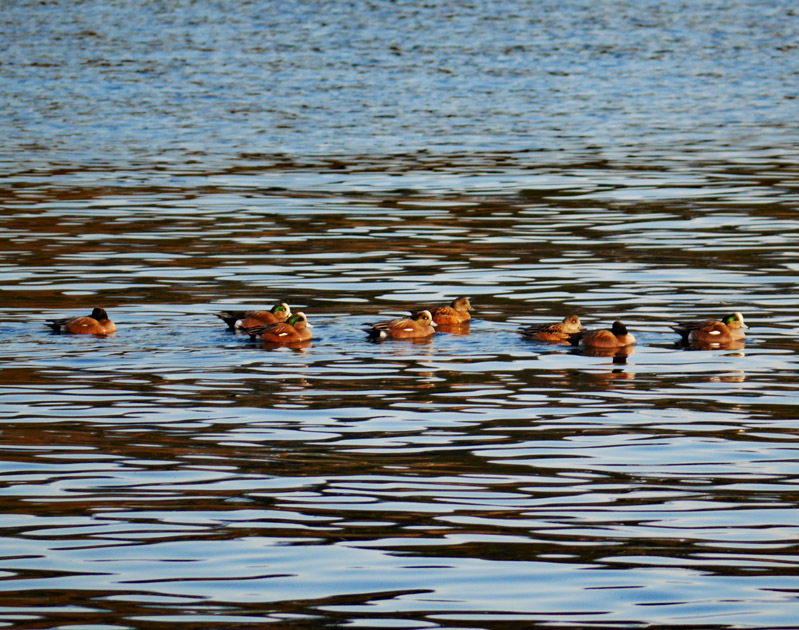 Ducks squawked, swam, dove and flew. 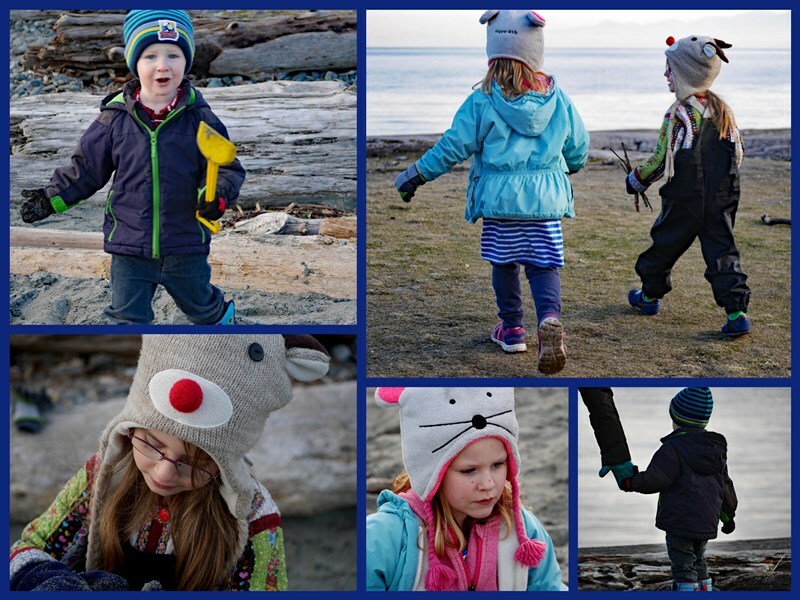 The beach in winter is just as much fun as it is in summer. There were sand castles, rocks thrown, trenches dug. Sticks gathered, stories told, and laughter. The gear of a winter beach might look different than summer's. No swimming suits or sun tops. Instead these hilarious hats, one a reindeer, one a cat, both worn with careless elegance and sweet individuality. We missed the Vancouver couple, and wished they could have joined us. Our DIL, in the brown jacket, brought along a thermos of hot tea. When I commented on what a great idea that was, she said that she had seen her MIL (yours truly) write about it on her blog. HA! On this walk, I brought nothing. In the photo of the two couples, I caught the guys chewing on cookies. Hope they don't mind. The weather forecast is for a warming trend, perhaps to 7 or 8 Celsius, accompanied by rain. I'm glad we got out to enjoy the sunny cold on this Sunday afternoon. It's one of my very favorite places, in any season. I can imagine the lovely time you all had. How wonderful for your grandchildren to enjoy a frolic on the beach in winter! It looks like they had a wonderful time, as did all the adults. Hot tea and cookies must have taste so good in chilly weather. I fnd the cold so refreshing--I actually prefer it to warm weather! I love the beach in the winter. What a lovely afternoon you had spending time together in such a beautiful place, I can almost hear the laughter and sounds of children playing. Love those hats! Beautiful photos of that beautiful place. And so happy faces, it was a joy to see! The hats are such fun but practical too. You all look as if you are having a really happy family time together. Hot tea from a flask brings memories of childhood picnics, lovely! I love the beach in the winter, listening to the waves usually we are the only ones on the beach, it is always magical. Yes we love the beach all year around too. We often take the dog or the Grandchildren there and always have so much fun. There is a beach locally that has a car terrace so even in wet weather we often drive down and watch the sea with a little picnic and thermos. Looks like a good time was had by all...lovely pictures Lorrie. 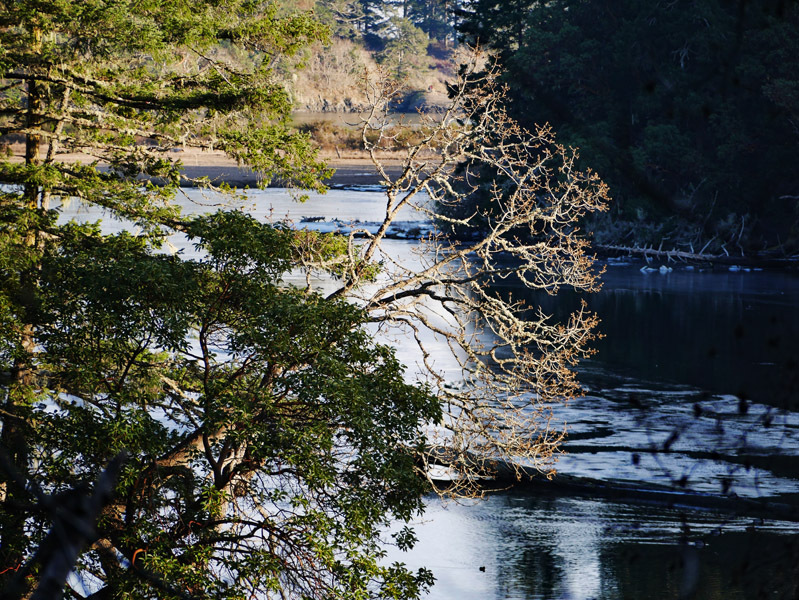 I'm envious that you can enjoy your beaches year round, ours is ice covered and the lake is just about frozen over. Impressive that a thermos of tea was brought on the walk after gleaning the idea from your blog. Must make you feel good to know that family is reading your posts. What a lovely walk and I'm thinking the snow suits are just as effective in sand as in snow! We could send you some of our tepid weather! I would prefer some steady cold for a spell. Awww, what a sweet family collage. Your grandkids' cute hats made me small. A few years ago, my brother gifted me with a donkey hat. Even though I'm too old for the goofy style, I still wear it because the flaps keep me ears warm! Looks like fun. The kids are so cute! A very beautiful place for a day out! Good to get out and do something nice at this time of year too. Yay for your DIL bringing tea as suggested by you! 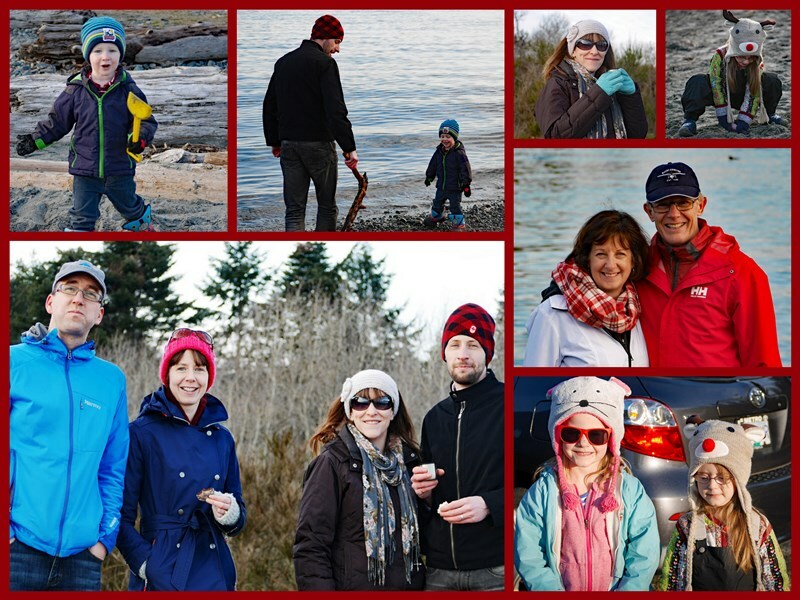 What a beautiful post Lorrie - there's something really special about a family winter's walk - invigorating crisp air with usually fewer other people about too. Looks like a fun day to remember! Such lovely, happy images, Lorrie! There's a very special atmosphere on the beach in winter and in your photos, and funnily the distant music I hear when my parents are watching TV (bright flutes) accompanies the mood beautifully. Beautiful family time -- I'd rather the beach in sunny cold than drizzly rain. Untypical weather (sunny cold) for the PNW for sure -- glad you all got to take advantage of it. Oh Lorrie, what a fun family outing, and even with a thermos of tea! The kids look like they had a blast playing on the beach. I so miss hiking with my late beloved, but I do have fond memories of that. Your photos, as always, are outstanding. I enjoyed the walk in "the sunny cold on this Sunday afternoon"... Wonderful time and jolly moments at the beach! Have a very good week! What glorious images....the family portraits are favored by me, but the nature photos are also phenomenal. I really enjoyed reading your narration!!! 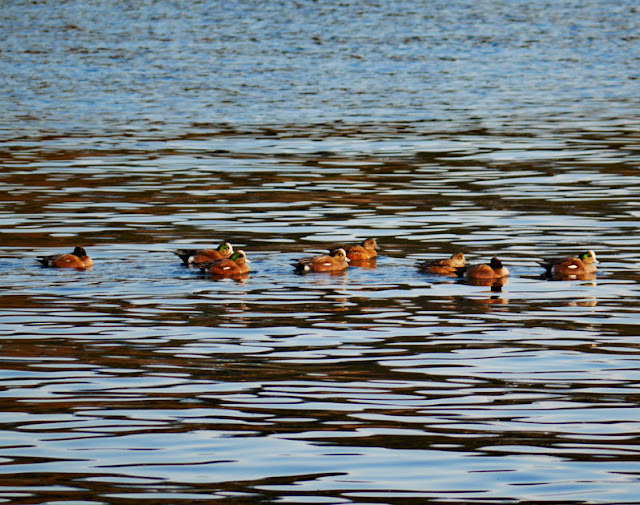 Beautiful images, love the ducks and family and friend pics. Thanks for sharing. What a lovely Sunday walk. You have a beautiful family. The hats were a delight to see. Hot tea from the thermos, wonderful! Your photos tell you all had a super time Lorrie! Witty's lagoon looks like the perfect spot for a family walk and the weather looked great too. The little girls are so sweet and I just love their cute hats! I've known that fresh forest smell since I was three years old when my dear father first took us tramping and it's been part of my life ever since! Your photos are just gorgeous. It looks like everyone had a wonderful day. Enjoy your wintry week Lorrie. Just above the freezing point ... if you can imagine it is rare there and also here. There it is too cold and unusually warm here this time of year. I believe that here the winter is yet to come. oh my. Sometimes I miss the warmth and the sun. Well, this is not bad, just have to put warm clothes on. and of course, hot tea in the botlle. I love you diverse languages. I learned new words every time. 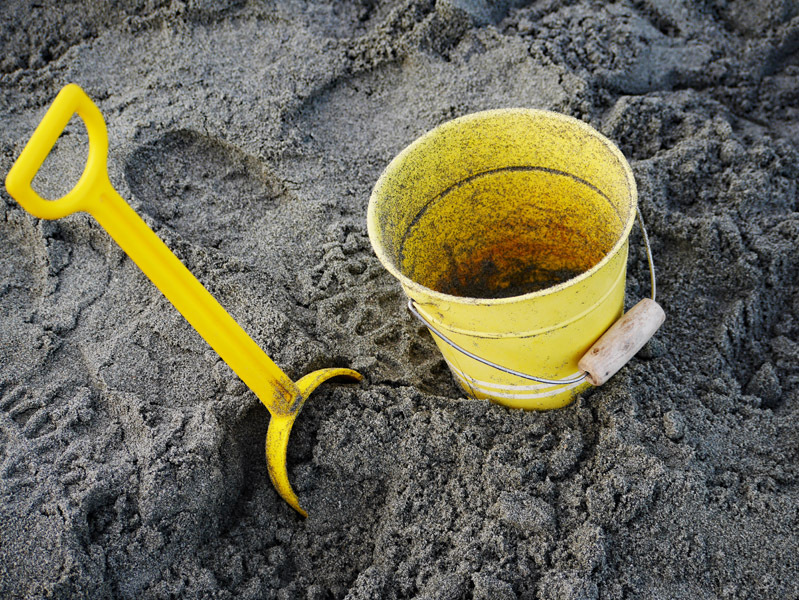 What a great idea to gather up your family and head to the beach together, even in January! The tea and cookies were an inspired idea. Here, I'm stilling pulling out the occasional rugelach from the freezer. Your recipe, of course! Delicious. Lorrie, the water is such a gorgeous blue! I hope that your weather warms up soon. You had me at "beach". I love the beach. We have a camper stored on the coast of South Carolina. I love it. We will be making our first trip of the year in March. Though I could live there all the time. What a lovely post ... it left me feeling so happy! Loved how you've presented your lovely family in the mosaics. Brilliant!